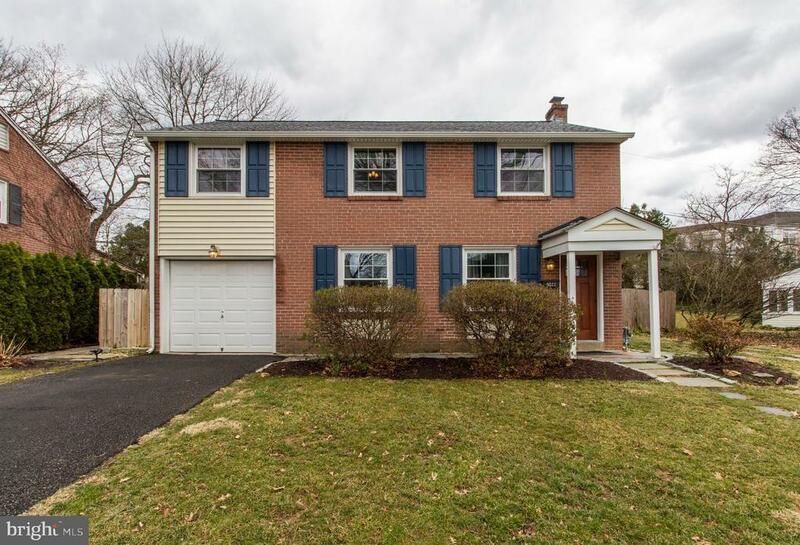 Fantastic updated colonial in the heart of Lafayette Hill features 3 bedrooms, 1 1/2 baths on a quiet street. The home has a beautifully redone kitchen with tons of counter space that opens to a breakfast room/family room addition with wood burning fireplace and nice views of the fenced in backyard. The family room has a cozy wood burning fireplace for cooler nights. The main floor powder room is conveniently tucked away off of the backyard entry. A screened in porch provides the perfect outdoor setting during warmer months. The upstairs contains 3 good sized bedrooms and updated bath. For more than adequate storage there are pull down stairs to access the large attic. The unfinished basement provides potential for additional living space. Walk to the shops and restaurants of Lafayette Hill. Conveniently located to public transit and Center City. This home is truly move in ready and a rare find in Lafayette Hill.